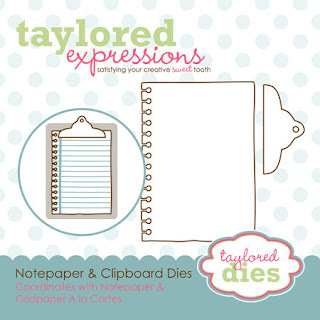 HandKrafted by Stephanie: Taylored Expressions August Previews Day 2! Taylored Expressions August Previews Day 2! Hello! Happy Tuesday! 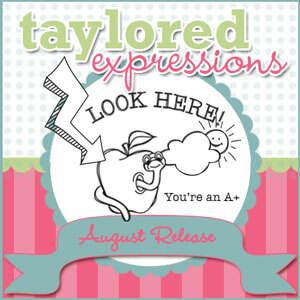 Welcome to Day 2 of Taylored Expressions August Previews! Today we are previewing ALL of the new dies and big background stamps that will be released tomorrow, Thursday, August 9th @ 8:00 AM PST in the TE Store! We will be having a Preview Party on Facebook tonight at 6:00 PM PST. This will be your chance to see full sets and there will be lots of prize drawings. The party is always fun and fast-paced! Be sure to join along HERE! My sample is a card featuring the new Chevron Border Dies! There are 2 sizes, and as you can see from the background that I created, they can be easily layered together. I also used the newest Moka girl... Moka Gwen! She is illustrated by Nancy's McKinney, and she is all ready to head back to school! I stamped, colored and fussy cut her out, then I popped her onto a text background which was die cut with the new Notepaper and Clipboard Dies (minus the clipboard part)! 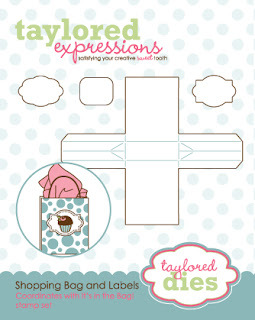 Accessories: Chevron Borders, Notepaper/Clipboard Die, Shopping Bag & Labels Die Set (Taylored Expressions); Markers (Copic), Ribbon (May Arts), Wood Veneer Stars (Studio Calico), Foam tape. I love how you layered that chevron die - such a V8 moment for me! 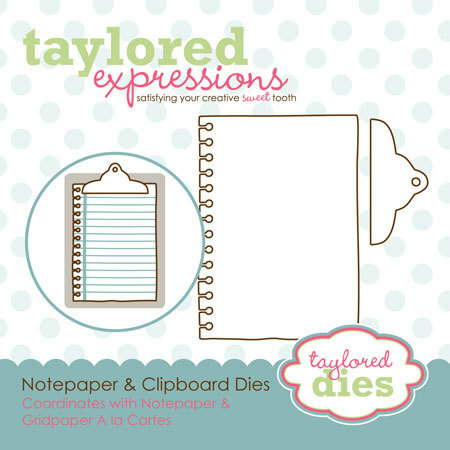 I also love the way you used that notepaper die on text paper - super cute Bg for your image. So, so cute, Stephanie! I LOVE how you used the Chevron Dies to create that background! This is so soft and pretty, I love how you used the chevron die! Love how the chevron borders look! A 2 sized chevron die would look great with so many projects...especially the ones you are sharing with us...wonderful ideas! Adorable card Stephanie! Lovin' all the Chevrons and that image is darling! Stehanie, Such an adorable card. Love the colours with the kraft cardstock.